Rare Episode (Bay pictured) has had very limited hauling and is showing a ton of promise in the arena, clocking 1/2 second off. He is 16 hands and rides as smooth as silk. Very quiet and gentle natured. Baby Martha is by leading broodmare sire Marthas Six Moons who has LTE in excess of $218K. 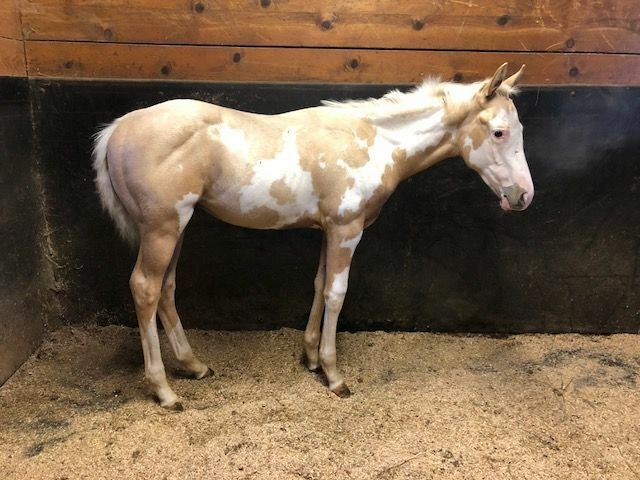 Baby Martha has two older offspring by CS Flashlight that are making exceptional performance horses as well. One is currently running 1d times in Michigan. 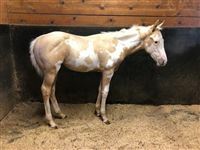 Paint Me Rare foaled 5/18/18 is a flashy, golden, palomino overo colt. He is sure to get you noticed in the show pen. His sire is 16 hands, dam is 15.2, he is currently measuring 14.3 as a YEARLING! He is being handled daily, he is very easy to be around. 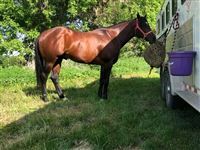 He leads, ties, picks his feet up, loads in a trailer and is being started on lunging. Video showing movement is current as of 3/26/19. 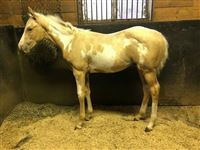 He is eligible for BBR select stallion stakes incentive fund program, as well as PBRIP (paint horse incentive program). His sire will be paid in to more incentives as his foals reach performance age. 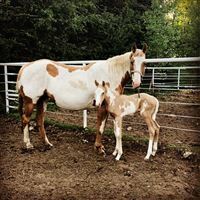 It is not often you find a colt with his looks matched with a proven pedigree. He is scheduled to be gelded on 4/1/19. NO TRADES. Price is FIRM. We have open slots to OK on 4/3.